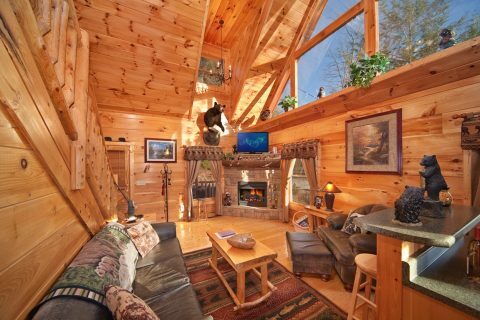 "Bear Footin' In the Smokies," a private Gatlinburg cabin, provides vacationers to the Smokies with a rustically decorated Sky Harbor Resort cabin. 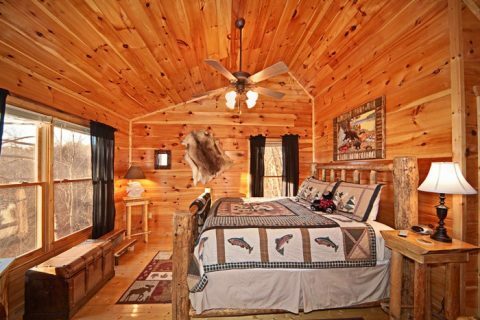 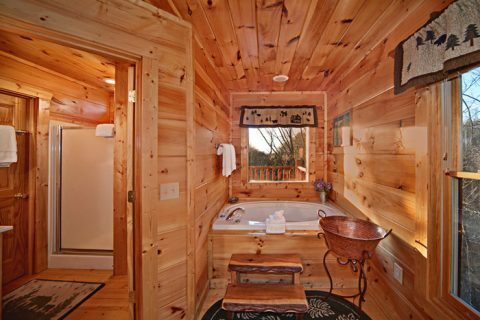 Enjoy a Smoky Mountain vacation with all the comforts of home in this warm, spacious Gatlinburg cabin. 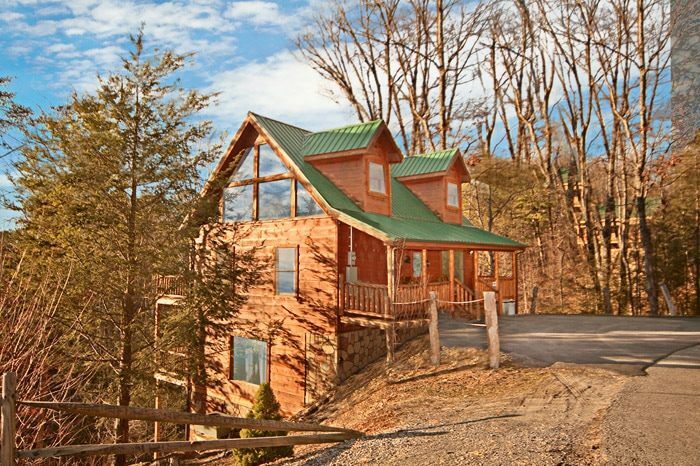 There’s plenty of sleeping room for 8 people to catch some Z's with this private 2-bedroom cabin rental in Gatlinburg's two king beds and sleeper sofas. 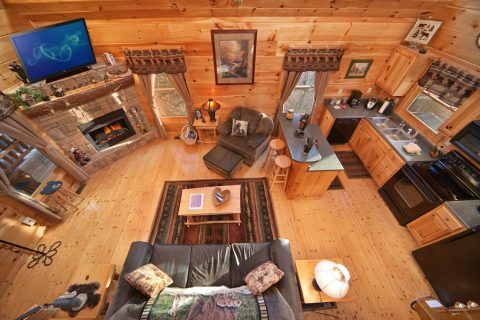 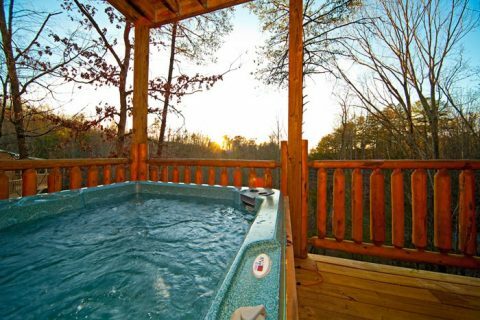 Guests at this private Gatlinburg cabin find the gas log stone fireplace adds warmth and ambiance to cold winter nights and the large hot tub is relaxing feature you can enjoy all year round. 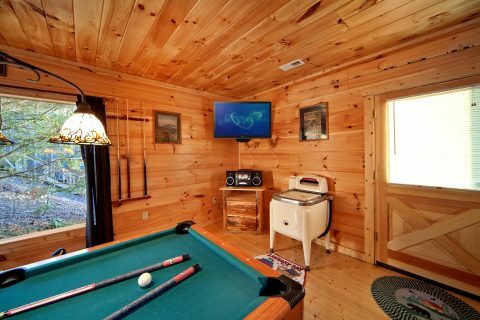 Cable televisions are located in the game room, great room, and master suite. 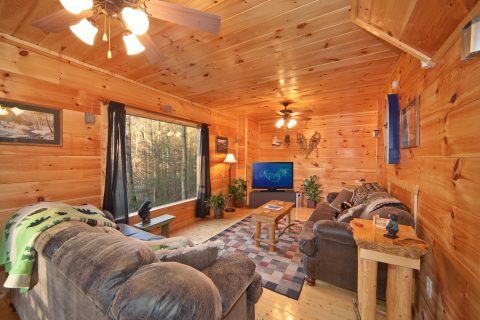 The big screen and comfy sofas in the den provide the perfect setting to view the big game – there's even a wet bar in the adjacent game room for that celebratory drink after a big win! 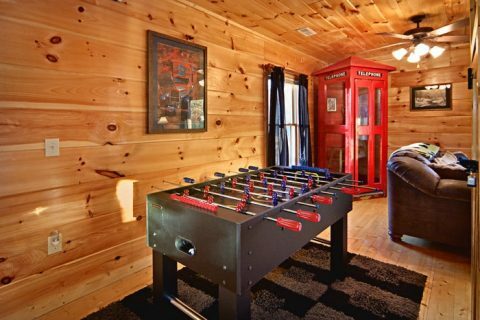 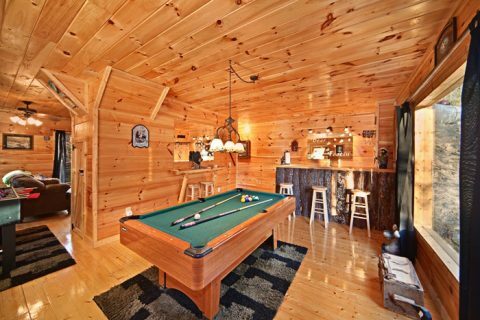 In addition to the wet bar, the game room cabin provides guest with a pool table and a foosball table for some competition of your own. 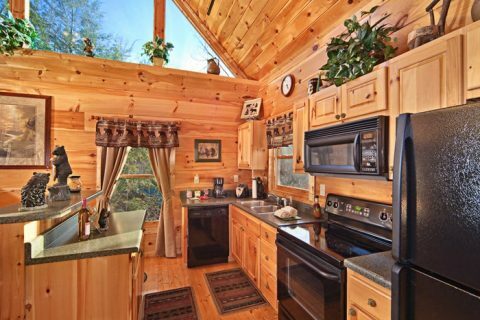 Vacationers staying in this Sky Harbor resort cabin can save money for attractions with snacks and meals from the cabin’s fully equipped kitchen or fire up the outdoor grill for some steaks and burgers. 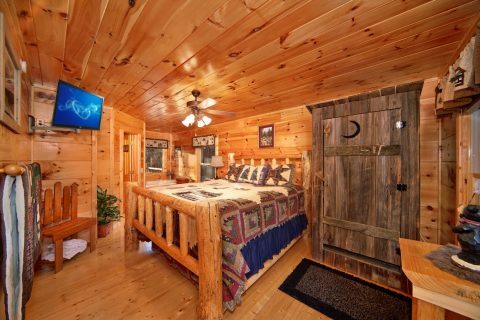 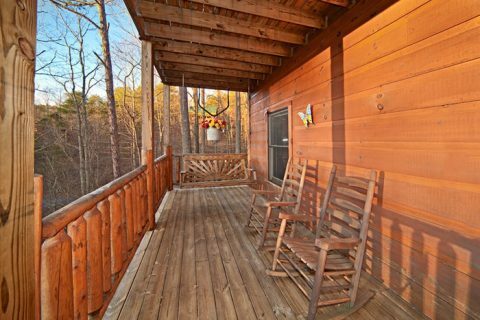 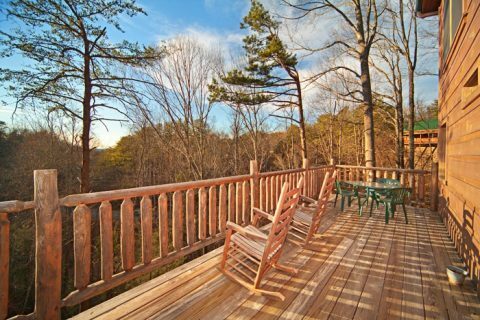 Additionally, this private Gatlinburg cabin, located just of the spur between Gatlinburg and Pigeon Forge, provides guest fast easy access to main attractions in both downtown Pigeon Forge and Gatlinburg. Make "Bear Footin' In the Smokies" your unforgettable private Gatlinburg cabin escape to the Tennessee Smoky Mountains today!